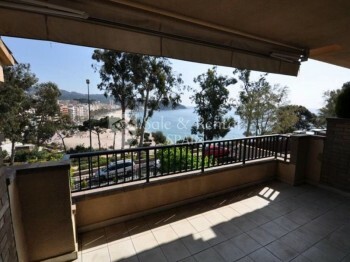 *Fantastic townhouse overlooking the sea and a few meters from the beach, located in Lloret de Mar. This house has a total of 260 m2 approximately. It has a separate kitchen and a dining room with a different height. The living room has a fireplace and direct access to a large terrace ideal for eating outside. It has a total of 4 bedrooms and 2 bathrooms. The master bedroom has fitted wardrobes, a terrace with wonderful sea views and a fantastic bathroom en suite with bath and shower. On the ground floor we find a large private garage and a laundry area and storage room. It is a fantastic house, with a fantastic location, just in front of the sea and with a beautiful view. Do not hesitate and come to visit this house!